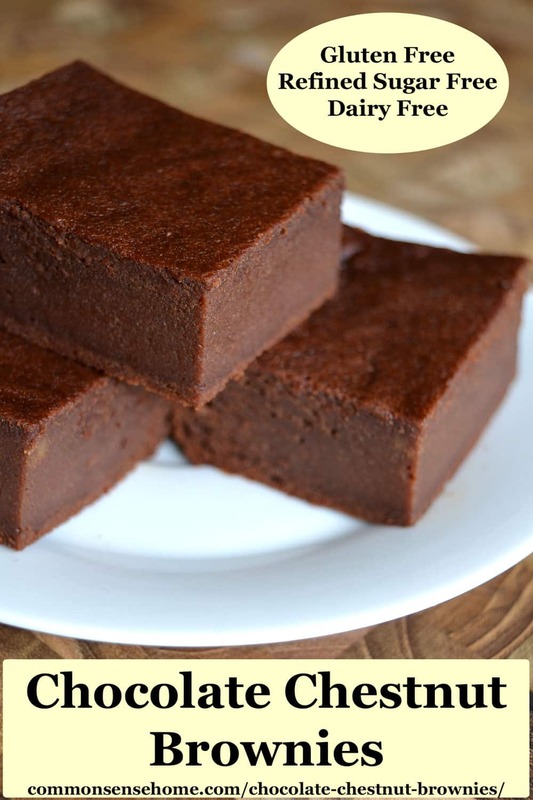 This one bowl chocolate chestnut brownies recipe makes rich, cake-like gluten free brownies made with chestnuts or chestnut flour and sweetened with honey. Chestnuts start showing up in grocery stores around the holiday season, so I'm experimenting with more chestnut recipes. Three out of our four baby chestnut trees are still alive, so hopefully one day we'll be able to use our own chestnuts. My last experiment was Cranberry Chestnut Bars. This time around I made chocolate chestnut brownies, which for some reason were more popular with the boys. (Can you say, “brownies”?) I skipped adding extra nuts, but you could easily stir in a half cup for some crunch. 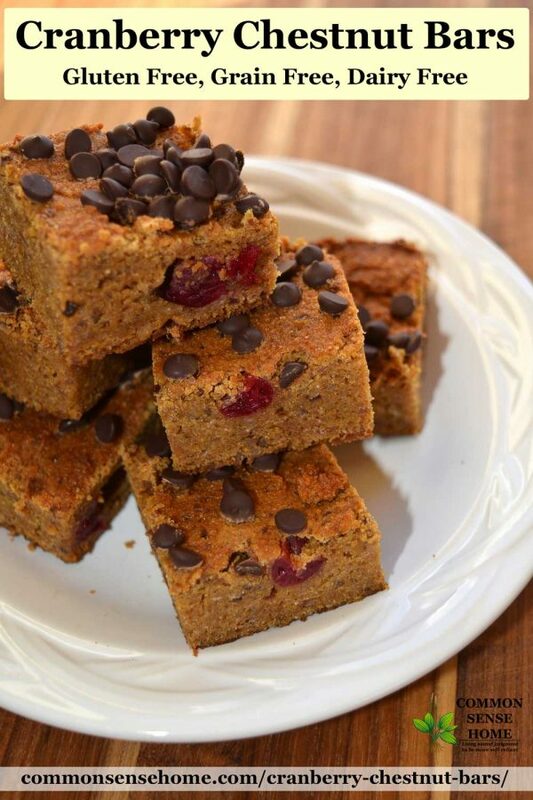 These cranberry chestnut bars have a texture like good quickbread – moist and tender, a little bit heavier than most cakes. The cranberries add brightness to the recipe – a little “pop” of flavor. They'd be great without the chocolate chips, too, but of course the boys are more likely to gobble things up if there's chocolate involved.